Tomato juice isn’t a beverage of choice for most people, except maybe on Sunday afternoons when it’s mixed with vodka and accessorized with a stalk of celery. But for some time, airline executives have puzzled over a strange phenomenon: In the terminal, Coke may be king and the line for Starbucks is endless, but once the captain turns off the fasten seatbelt sign, tomato juice becomes the people’s favorite drink. German airline Lufthansa, for example, reports their attendants each year serve passengers nearly as much tomato juice as beer. Over the years, a number of scientists have tried to figure out why flying may provoke a sudden interest in a juice that gets much less love on solid ground. One new study suggests taste perception depends not only on the integration of several sensory inputs directly related to the food or beverage, but also a person’s surroundings. “Airline cabins are an unusual environment, in which food is consumed routinely under extreme noise conditions, often over 85 decibels, and in which the perceived quality of food is often criticized,” the researchers write in their study, published in March 2015 in the Journal of Experimental Psychology: Human Perception and Performance. The study finds that high decibel sound heightens a person’s taste for umami, or savory, foods. For the study, researchers at Cornell University’s department of food science simulated the auditory experience of a commercial airliner. They gave 11 male and 37 female participants, aged 18 to 55, samples of food representing each of the five taste group: sweet, salty, sour, bitter and umami. Participants tried taste samples in liquid form made from sucrose (sweet), sodium chloride (salty), citric acid (sour), quinine hydrochloride (bitter) and monosodium glutamate (commonly known as MSG, and representing umami.) Each person sampled the five liquids in different concentration levels with and without listening to headphones that played a recording of cabin noise. Umami is a Japanese word that translates to “pleasant savory taste.” It’s a flavor found in certain meat, fish, vegetables and dairy products, and stems from naturally occurring glutamate, a type of amino acid, and ribonucleotides, a precursor to nucleic acids. 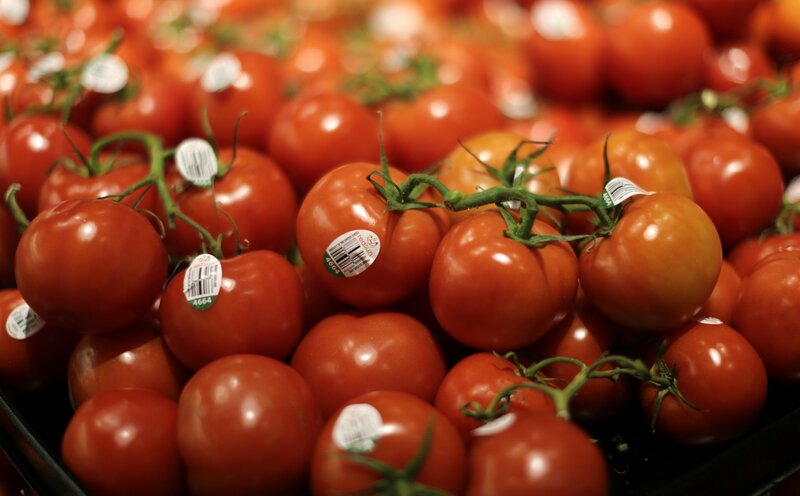 Umami-rich foods include seaweed, cod, pork, soy sauce, mushrooms, parmesan cheese and, it turns out, tomatoes. This, the Cornell researchers argue, may explain all the tomato juice orders. The researchers hope their findings may help airlines develop food options that appeal more to passengers as they try to ignore the hum of the Boeing 737, along with the baby crying in aisle 23. However, other scientists say different biological factors explain the reason why taste perception changes on an airplane. The human body functions a little differently when you’re cruising 30,000 feet above sea level. At high altitudes, the blood gets less oxygen to the brain and senses are a little blunted until full acclimatization. Additionally, air pressure changes cause the sinuses to swell. This limits the sense of smell, which is intrinsically connected to taste. With inflamed nasal passages, the tastes of many foods will fall flat. To compensate for the dulled senses, airborne snackers may be more drawn to foods with strong, pungent flavors—like tomato juice.